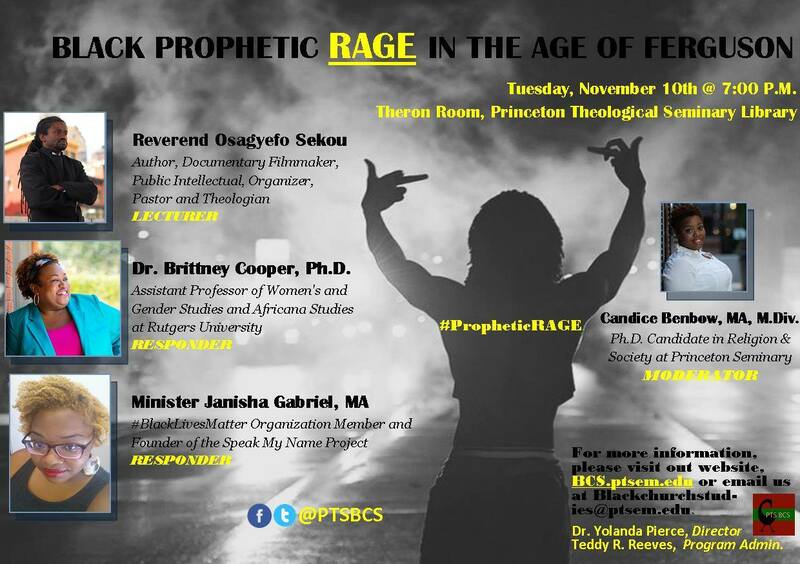 He will speak at a conference organized by The Center for Black Church Studies at Princeton Seminary, “Black Prophetic Rage in the Age of Ferguson,” on Tuesday, November 10th at 7 pm in the Theron Room at the Princeton Seminary Library. Yolanda Pierce directs the center. The roster also includes Dr. Brittney Cooper, Ph.D. and Minister Janisha Gabriel, MA, responders, and Candice Benbow, MA, M.Div., Moderator. Yolanda Pierce directs the center.